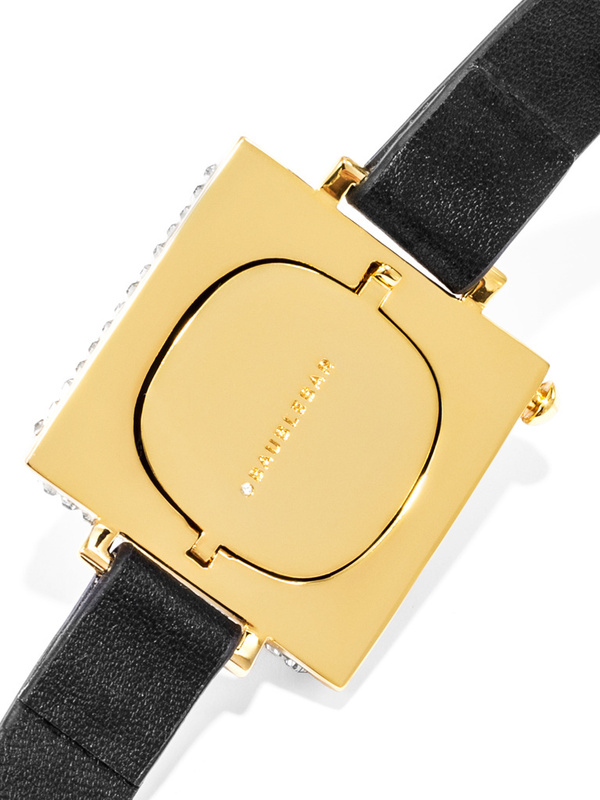 One of the smartest things a company can do to stay relevant is design wearable tech that women want. Jawbone is making the right move by partnering with high-fashion accessory maker BaubleBar for a line of connected bracelets that will put a little bling in your step. 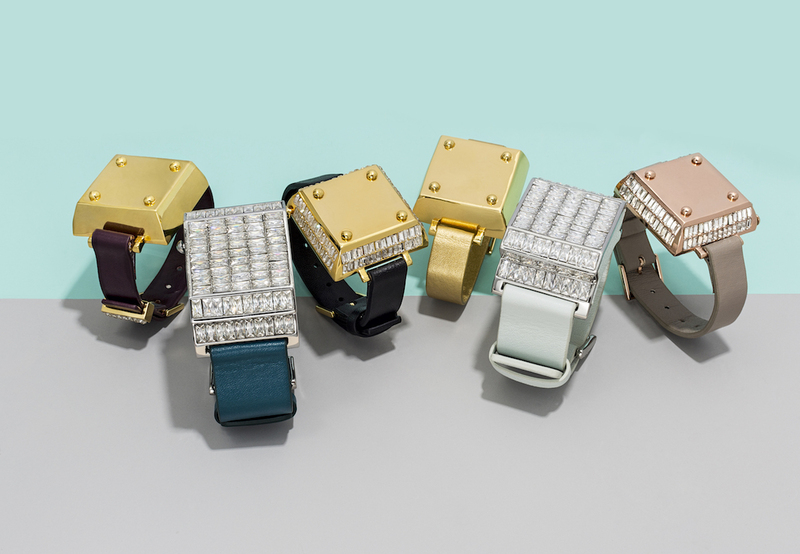 The BaubleBar Tech line includes three different models, each with two different color options. 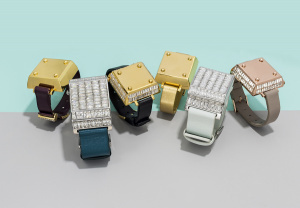 Inside the box-like bracelet charm sits a Jawbone UP Move device, which tracks your steps, sleep, and calories burned. Outside the box sits gold plated, crystal infused jewellery that disguises any semblance of tech. On the back, there is a hidden compartment that is specially customised to hold the UP Move. The Disco, Tango, and Salsa each have a different style. The Tango is more minimalist with no crystals on the box, while the Salsa sports a few crystals on the side, and the Disco is covered in sparkles. 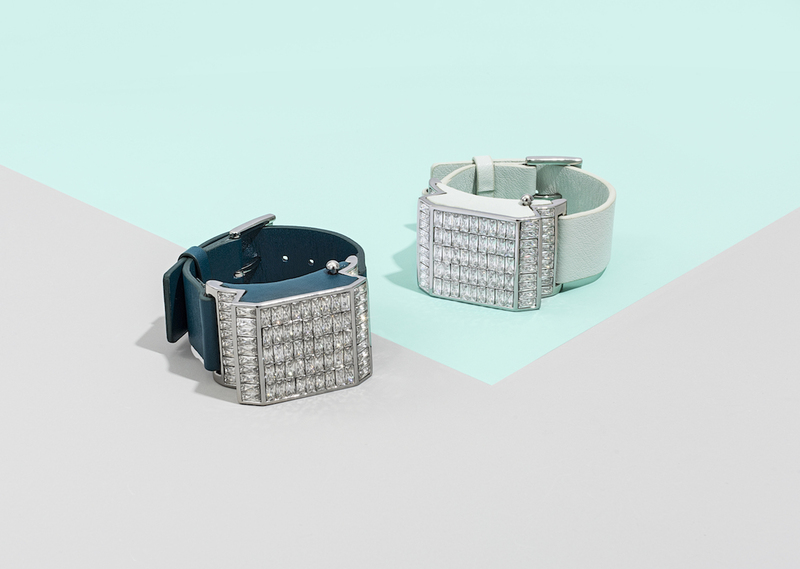 If you already own a Jawbone UP Move, you can make it shine with one of BaubleBar's bracelets for between $45 and $65 and are available from both the fashion jewelry website and the fitness tracker website. If you don't already own an UP Move, you can tack on $20 for the combo. As fashion-friendly wearable tech becomes more popular, these types of collaborations make a lot of sense. 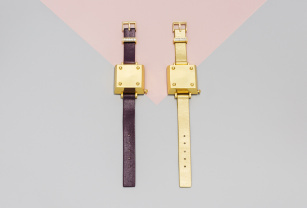 Tech companies and accessory makers can work together to bring fashion to wearables in a way that fits both industries. 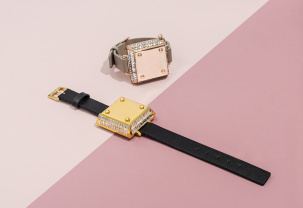 Check out the photo gallery to see the different styles that BaubleBar and Jawbone have to offer.